ArchitectureWeek No. 541 is now available on the Web, with these new design and building features, and more. TXI ES&C's lightweight aggregate is a key ingredient in the roof tile by MonierLife Tile. 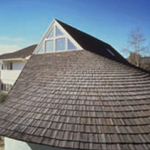 Lightweight roof tile is aesthetically striking and durable against any climate condition. Read about roofing rewards in "Concrete Roof Tile: Beauty, Durability and Fire Protection in One Tough Package." The apparent placelessness of Los Angeles, where one community bleeds into another with little visible distinction, can partially be attributed to its major industries - advertising, television, movies, the web - because these businesses live placelessly, mostly in periodicals, or on screens in the theater, in the family room, and at the desk. 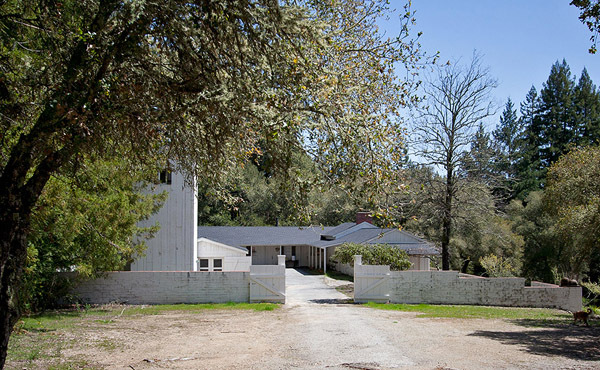 Thinking back, an image that most endures in my mind is the white tower and compound of William Wurster's Gregory House (1929) in the Santa Cruz Mountains. The Gregory Farmhouse, as it's usually referenced, is a misnomer: it is a country retreat designed and built between 1927 and 1929, a place of the soul, no doubt, for a very sophisticated San Francisco family. The Gregory Farmhouse, as it's usually referenced, is a misnomer: it is a country retreat designed and built between 1927 and 1929, a place of the soul, no doubt, for a very sophisticated San Francisco family. The tower, slim and upright like a beacon, suggests a reincarnation of the water towers still occasionally visible on Northern California farms. The tower anchors one corner of a beautifully simple, embracing composition, with two wings perpendicular to each other bracketing the opposite side of a tree-filled court. 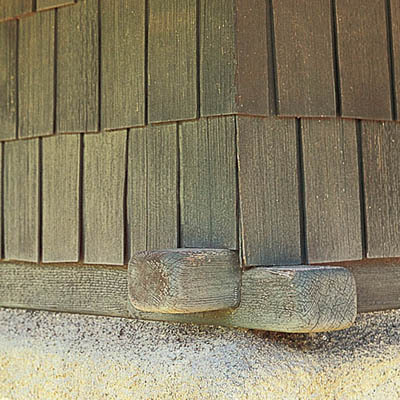 These wings are joined by a porch tucked under their eaves. The structures are beguilingly direct — yes, farmhouse direct — and narrow. 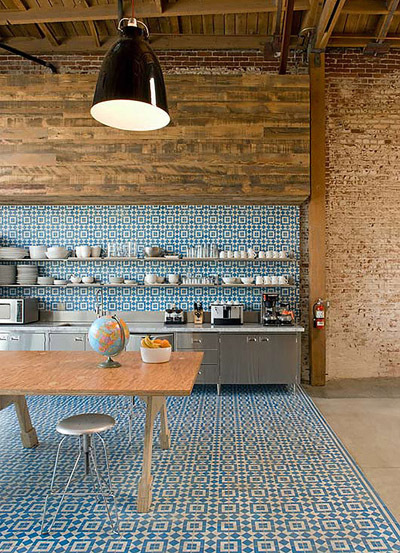 They are mostly one room wide, the roofs low and unprepossessing, the interiors made with very wide whitewashed boards. 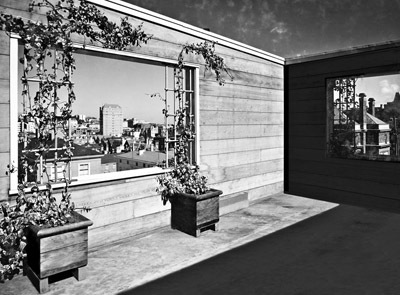 Paned windows pace steadily across their sides and doors align strategically. 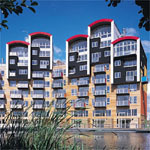 A new public library has opened at the edge of the Canada Water basin in the Southwark borough of London, England, United Kingdom. 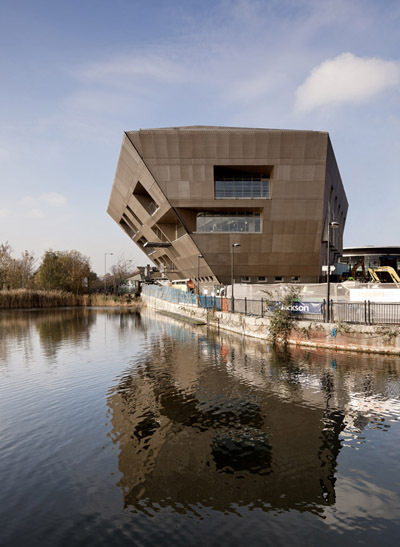 Piers Gough, a partner at CZWG Architects of London, designed the £14.1 million, 2,900-square-meter (31,000-square-foot) Canada Water Library, which extends over the water in an inverted pyramid shape. Located at the center of a new town plaza, the library is a key early building in a major regeneration project. 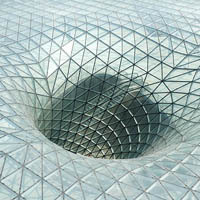 The building's shape addresses several challenges. The limited footprint is constrained by the London Underground rail station box to the north, under the plaza; clearance for a London Underground access hatch adjacent to the road; the strong pedestrian east-west desire line across the south side of the plaza; and the waterside walkway. The constraint to the east is to allow views of the basin from the plaza. In addition, the client sought to avoid dividing main library spaces across multiple levels, which could have reduced interaction among users and would have demanded higher staffing levels. In response, the ground floor contains a cafe, while the upwardly expanding shape above it enables the main library space to be contained within a single, galleried, skylit double volume. The building is clad in aluminum sheets that are anodized in a light bronze with sequined perforations. The Core Project today announces the addition of an architectural site-specific challenge to the competition. The Core Project is an international design competition to generate innovative ideas for renewing the city center of Sebastopol, a small town in Northern California. The competition is hosted by The City of Sebastopol, together with The Redwood Empire Chapter of the American Institute of Architects (AIA) and a group of local business sponsors. The Core Project has added a site-specific component by challenging entrants to envision the best use for certain strategic sites in downtown Sebastopol currently used as surface parking lots. The Core Project website has been expanded to provide additional information and resources for entrants. Organizers have also extended the registration and submission deadlines. 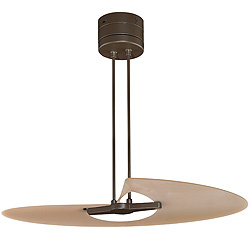 The Marea™ is a contemporary single-blade ceiling fan from Fanimation. With a 25-degree blade pitch and 42-inch (107-centimeter) blade sweep, this sculptural fan cuts through the air in a wave-like motion. At high speed, it uses just 47 watts of power, with an airflow of 3,151 cubic feet per minute (89 cubic meters per minute). The fan offers three forward speeds and three reverse speeds, with a reversing switch on the housing. Available in an oil-rubbed bronze finish with an amber frosted acrylic blade, or in a satin nickel finish with a white frosted acrylic blade. Wall-mount remote control included. If you combine two sound sources, each at 50 decibels (dB) what will be the resultant dB level? If you double the distance to a sound source, you reduce the dB by how much? 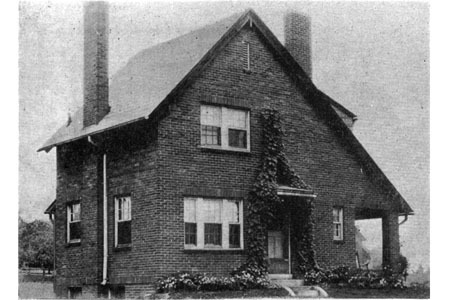 "The most interesting point about this house is the manner in which the main roof slope is continued down over the porch. The effect gained thereby is quite pleasing and gives an opportunity for a larger room on the second floor. The living room has two features; the fireplace in the front end and the open stairway in the rear... "